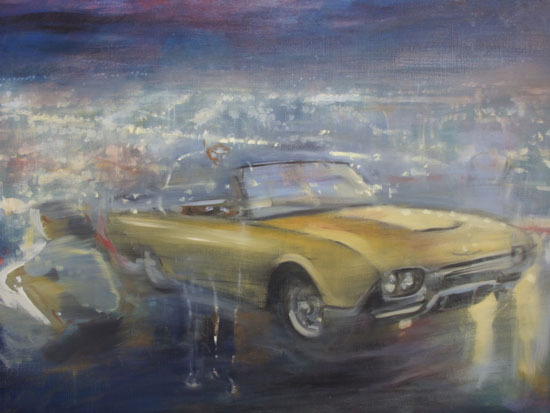 Paintings have always been a backdrop in Gregg Chadwick's life. 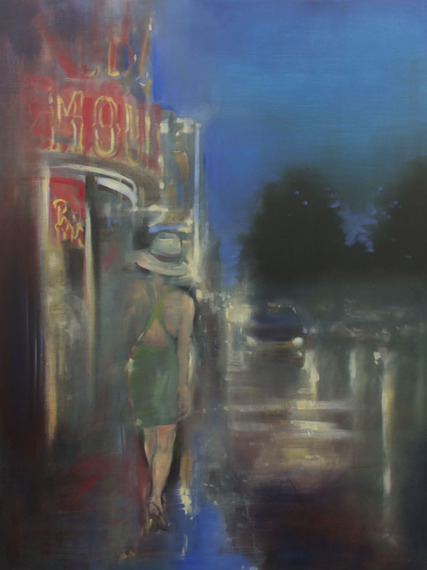 Much like a cinematographer shapes a film with beautiful images, Chadwick creates his own stories via his art with iconic themes and striking figures with subtle subtext. "Cinema of Time" is the title of a new exhibition opening on Sunday, July 12, at Upper West from 4-7pm. The Santa Monica Restaurant has been featuring rotating art exhibitions since its inception. Chadwick explained, "Los Angeles Theatre is an accumulation of figures and moments in the lobby of the Los Angeles Theatre in downtown L.A. Almost like a scene from a film noir, there is a sense of mystery within this moment." 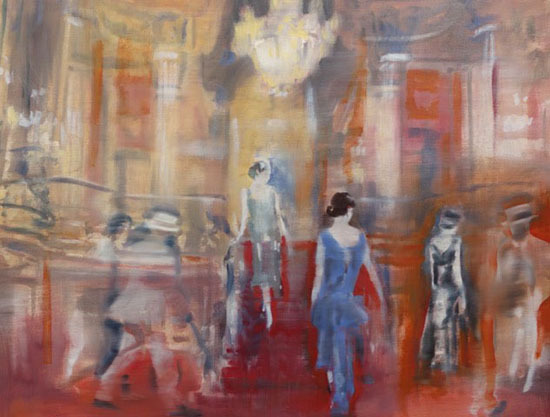 Chadwick captures a charming slice of life depicting theatergoers in motion, dresses flowing, yet he alludes to another realm. He went on to say that he wanted to offer clues such as ghosts of films past and present...to seemingly blur and burn around the edges very much the same way film stock starts to deteriorate. 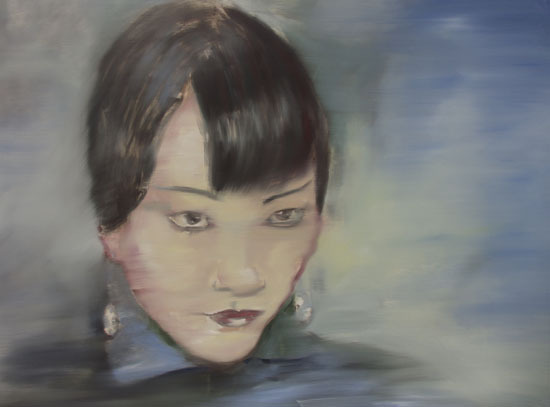 Another painting, Anna May Wong celebrates the much loved Chinese American film star. Originally born in Los Angeles, the film star was the first Asian American actress to gain international recognition. "My painting was created as an homage to Anna, sourced from numerous photo stills and film clips from the era." 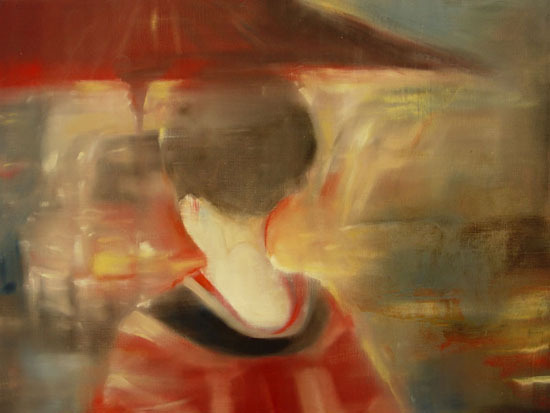 According to the artist, imagery has played an important role in both his life and his art. He recalled a time when he was just six years old, when art was a source of comfort to him. "My father had just finished a tour in the Vietnam War, and we reunited as a family in Europe...first in Paris, where my mom and dad lived as a young couple, and then on to Amsterdam." It was there that the young Chadwick first saw Rembrandt's The Syndics of the Cloth Making Guild at the Rijksmuseum. The painting (also called The Sampling Officials) struck a chord with him. He recognized the image as one that he had seen so many times. It was on the lid of the Dutch Masters cigar brand that his father always smoked. "For a brief moment, everything in my young mind seemed to make sense - dad back from war, family reunited, cigar box lid amplified and enlarged by the genius of Rembrandt on the wall. I have been creating ever since." Chadwick is first and foremost an oil painter. While also being a printmaker, he admits to his love affair with oil and linen..."The vegetable fragrance and synergistic relationship between linseed oil and linen surfaces intoxicates me," said the artist. Creating every day, if he is not painting in his Santa Monica studios, Chadwick is sketching, note taking, shooting photos, or doing some form of research for his art. When asked what he thought of the restaurant, he replied, "Upper West provides a vibrant place for art, food, and conversation. There is a love of life here that is evident in the dishes that are served, the paintings on the walls, and the restaurant staff." He recently returned from Verona, Italy and added that many of the restaurants had the same sense of community that he has found at Upper West.